According to state regulations, the farming and dispensary of cannabis requires a specific standard of video quality and surveillance security. With many states in the U.S. having passed the legalization of marijuana, there’s still plenty of regulatory practices and procedures to follow. Every farm or licensed cannabis grower must comply with state requirements for surveillance, remote access, camera positioning and the retrieval of footage. The industry may struggle to determine the technology necessary for cannabis markets in compliance with state laws. A complete high definition video surveillance system must be installed. It should incorporate video resolutions of at least 640 x 470 pixels for clear and high definition imagery. The area in which cannabis is grown must provide remote access in case police officials need to enter the premises. Cameras must provide a clear depiction of the persons who frequent and enter the property where the licensed cannabis is grown. The video surveillance must be of an exceptional quality and well positioned to view any persons moving near the boundary fencing. Unfortunately, many of the stipulations issued by state departments concerning the technology for marijuana surveillance do not exist or cannot be properly achieved. A good example of this includes the number of pixels requested in video surveillance systems. Unfortunately, the 640 pixels is not standard in such camera works and instead, require improved and accurate resolution to be able to identify individuals over an average 6.1 meters. Cameras with a 1080p resolution deliver better graphic quality over considerable distances making it a better choice for the identification of potential trespassers. Legal requirements for marijuana markets include the recording of the entrances and the exits within the property. Officials request that surveillance cameras are properly angled to capture persons moving between these areas. It is important to rely on your official technology provider who can advise on the correct positioning of video cameras for surveillance purposes. Regulations require that video footage retrieved from the surveillance system produces recordings of over 40 days. It is imperative that you invest in quality equipment with reliable recording functions and a significant memory. This ensures the compliant footage is retained and easily presented to officials who may request the recordings. According to state practice, it has become a legal requirement for marijuana markets to comply with surveillance and security operations. Investing in top quality equipment for remote access and surveillance will ensure you comply. It can prevent unnecessary penalties and secure the licensed cannabis property. 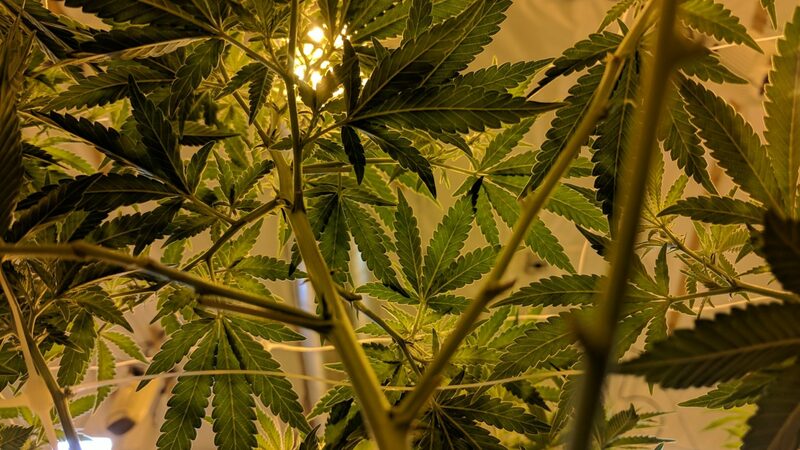 Pingback: Growth for Security Surveillance Technology in Cannabis Markets; Demand Driven by Compliance Regulation; Companies Mentioned: DirectView Holdings, Inc. (OTC: DIRV), Aphria Inc., Liberty Health Sciences Inc., Radient Technologies Inc., Aurora Cannabis Inc.